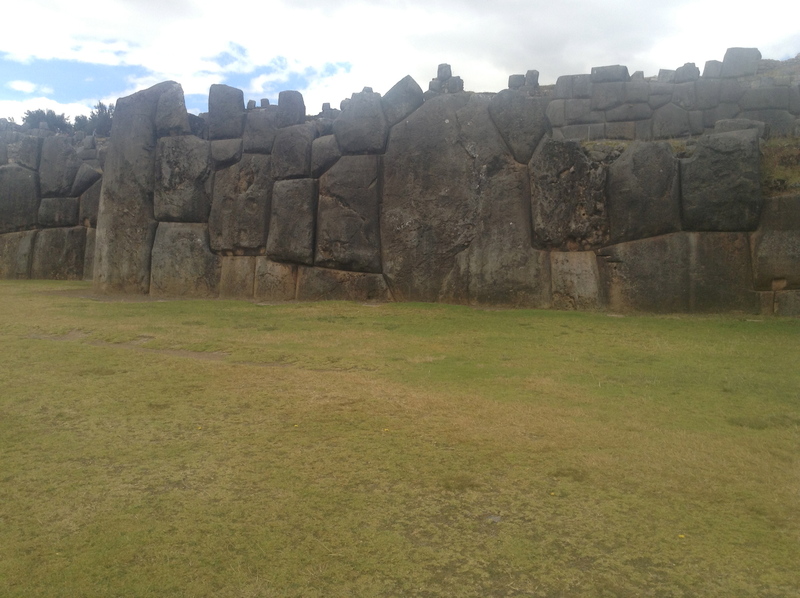 The site is located in the hills above Cusco and it offers a sweeping view of the city in the valley below. 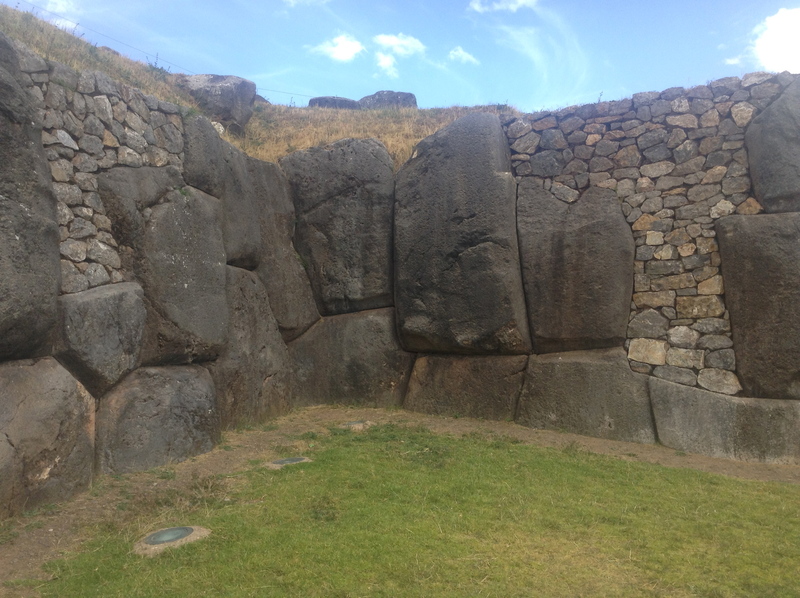 Unlike Ollantaytambo and Machu Picchu, the limestone the Incans used to build Sacsayhuaman were enormous monoliths. Thousands of workers were required just to transport one stone from the quarry about six miles away. As I was contemplating this impressive place, I recalled the French “Asterix and Obelix” comic books about the misadventures of two Gallic men humorously outwitting the Romans during the Roman Empire. One of them, Obelix, is the brawn of the operation and is frequently portrayed carrying huge stones on his back. I formed an image in mind of many Obelix-like men reluctantly enlisted to help the Incas build their empire. 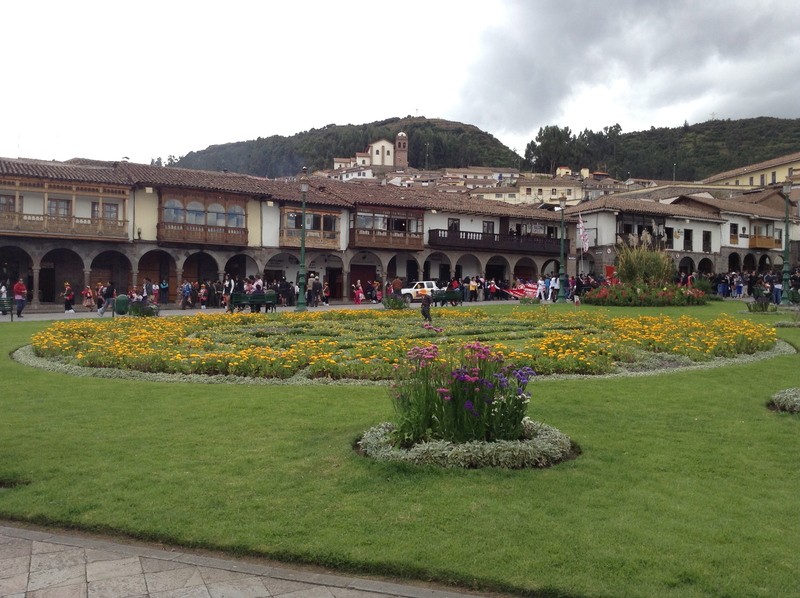 We spent the afternoon exploring Cusco, where I succumbed to the temptation of silver jewelry and baby alpaca. My souvenir shopping is now officially over, because if I continue I will make American Express much too happy. Our stay in the capital of the Incas was topped off by a meal at what is considered the best restaurant in Cusco, Cicciolina, which specializes in Peruvian/Italian fusion dishes. Its reputation is well-earned – the meal, which my mom and I enjoyed in the company of two sisters traveling with our group, was superb.